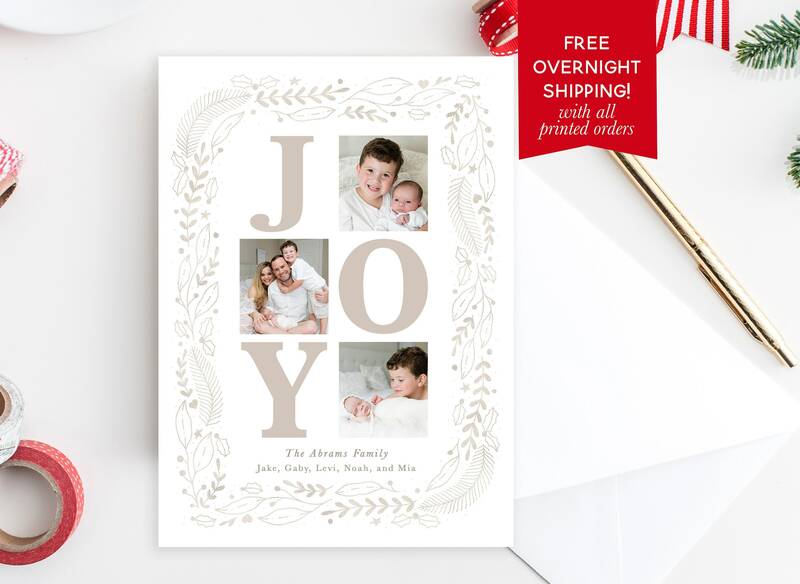 This pretty "Joy" floral Christmas card is so classic and unique-- guaranteed to stand out on any mantle! 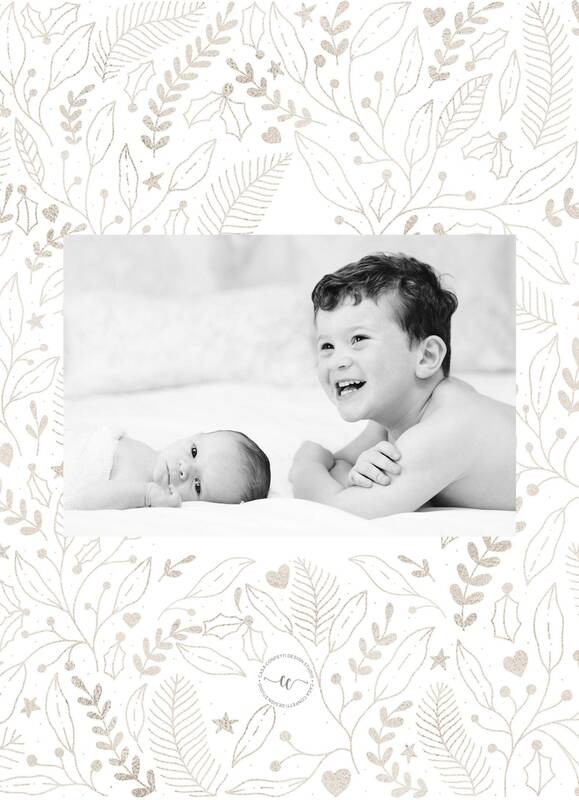 Pretty pale gold leaves and flowers pop against a white background and create the perfect frame for your favorite photo. 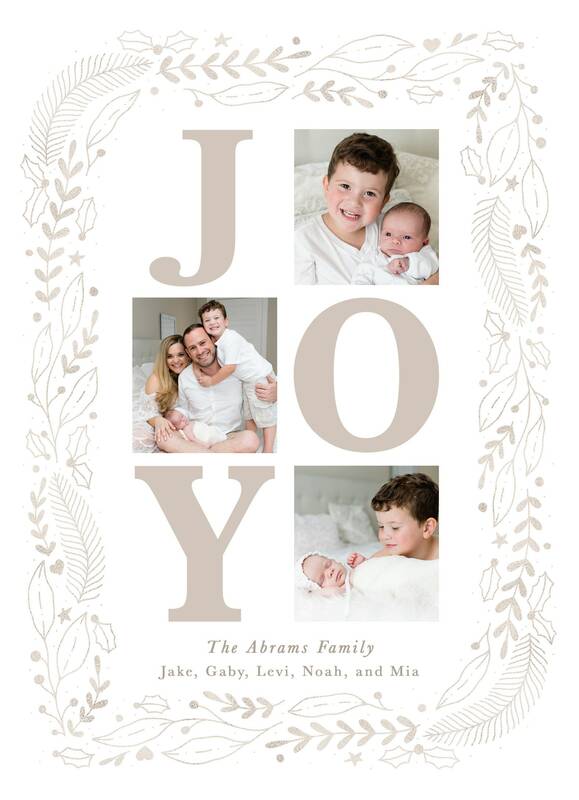 Share photos of your beautiful family with family and friends with this photo greeting holiday card.